1. Jon White/Ryan Stillman – This team is in first place by a wide margin, though they were in this same position last year before injuries derailed their chances. War of Will could not have been more impressive in the Grade 3 LeComte Stakes, while Improbable continues to train very well in the mornings. Trophy Chaser and Network Effect also have bright futures. Right now, this team is stacked! 2. Mike “Saratoga Slim” Spector – It was a down week for Slim, with Tight Ten being a nonfactor in the Grade 3 LeComte Stakes. Slim was the big winner in the claiming department, though, taking the 3-way shake for Dessman. He also looks to have a monster on his hands as Instagrand is training beautifully at Santa Anita. 3. Dan “Wise Dan” Waite – That’s right! The last-place finisher in 2018 is all the way up to third in the latest Power Rankings. He earned it when Bourbon War cruised home in a Gulfstream Park allowance race, beating Award Winner of The Magic Mike Show. This team seems to be in a solid position heading into the bigger races. 4. Patrick “Mad Dog” Meagher – There is still not much news to report for Team “Mad Dog” who has been fairly quiet for most of January. When Signalman and Knicks Go return, we will have a much better indication of what this team is all about. Also, the unraced Elvis should be getting very close to making his debut at Oaklawn Park. 5. Aaron Halterman – We are going to find out on Friday what direction this team is headed with Friday’s running of the $150,000 Smarty Jones Stakes on Oaklawn Park’s Opening Day. Long Range Toddy and Bankit represent him in that race, and on paper, they look to be two of the top contenders, so we will see how it all plays out. 6. Jared Welch – At (-30), the defending champ is tied for last in the standings; however, that is exactly where he was at this time last year as well. He had a good claiming day, adding Country House in a 4-way shake, which allowed him to drop the injured Roadster. 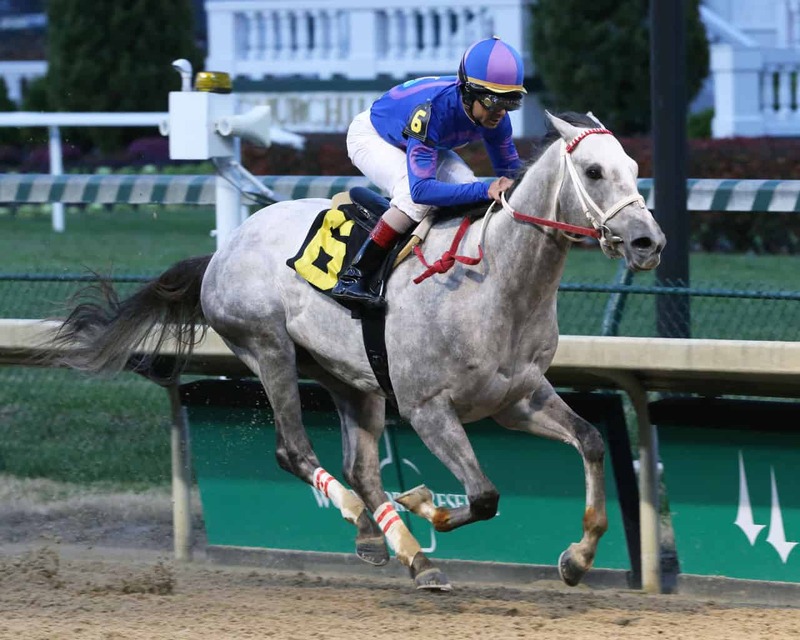 This week will be huge for him, as he has the likely favorite Gray Attempt in the $150,000 Smarty Jones Stakes. 7. Brandon “B$” Bauer – It’s going to be another quiet week for Brandon, with none of his horses expected to run once again. Things are going to heat up for him in February, though, when all five of his runners are likely to make starts. 8. Paul “Free Beers” Withrow – This guy just can’t win a shake as his record is now 0-4. He did pick up Come On Gerry, which was good because he needed to drop the injured Cairo Cat. As of now, it is safe to say that his hopes rest on the shoulders of Game Winner. That could be a good thing, though, as Game Winner is training like a monster at Santa Anita. 9. The Magic Mike Show – There is no doubt that the Magic Mike team had a rough week. Award Winner was a distant third in an allowance race at Gulfstream Park, which was disheartening, then Plus Que Parfait was a total non-factor in the Grade 3 LeComte Stakes. Finally, they had no luck once again in the claiming department, losing the shake for Country House and seeing their record fall to 0-3 in shakes. 10. The Fans: Austin and Bones – They are last for the second straight week, but the fans continue to gradually improve their team after a lackluster draft. They picked up sharp allowance winner Owendale during this claiming period while dropping Royal Marine. They’ll look to have a couple of runners in early February that could get them rolling. Virtual Horse Racing Betting: What Is It?